Categorize discussions, pin hotels and articles, and vote for your favorites. We are thrilled to announce the release of our new and improved group trip planning wall embedded into every Travefy trip. 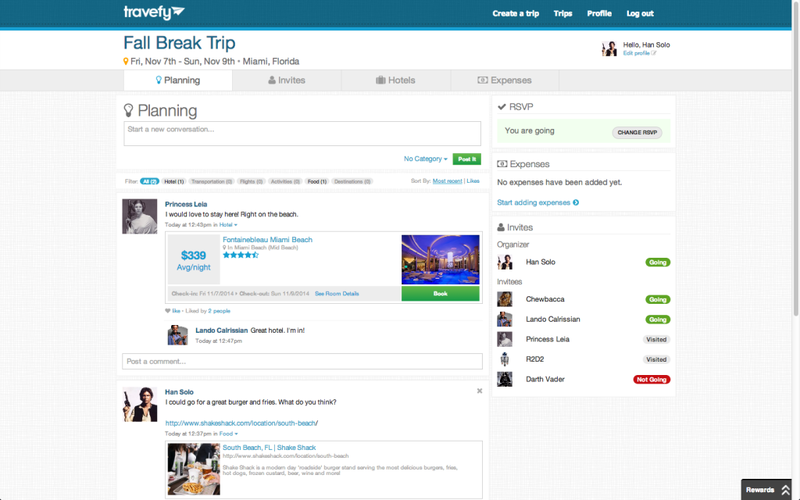 The trip wall is the heart of Travefy as the central resource for all trip planning discussions and access to additional Travefy features including group polls, hotel metasearch, and group expense management. Enhance your discussion with friends with rich links to restaurants, flights, vacation rentals, activities, or fun articles. Travefy converts all links into beautiful thumbnail embedded in your post for group discussion. Click the heart on any post to show you “like” it. We’ll let you see which friends “like” which posts as well as allow you sort your conversation by likes. This form of social voting helps your group choose your favorite restaurants, hotels, and activities. 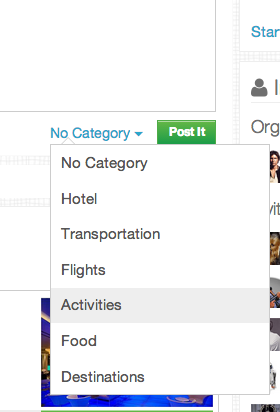 Stay organized with new categories to for each wall posts. These optional categories – like hotels, transportation, and activities – allow you to organize your conversation and filter discussions for simple navigation. Search over 300,000 hotels through Travefy’s hotel metasearch to find great group deals. Pin your favorites to the trip wall for group discussion, votes, and booking. We’re committed to simplifying your group travel! This is just the beginning, so please let us know your thoughts and any other wall enhancements you would like to see. Email us any time at feedback@travefy.com.